Minimally invasive surgery (MIS) for late-presenting congenital diaphragmatic hernia (CDH) has been described previously, but few neonatal cases of CDH have been reported. This study aimed to report the multicenter experience of these rare cases and to compare the laparoscopic and thoracoscopic approaches. Using MIS procedures, 30 patients (16 boys and 14 girls) from nine centers underwent surgery for CDH within the first month of life, 26 before day 5. Only one patient had associated malformations. There were 10 preterm patients (32–36 weeks of gestational age). Their weight at birth ranged from 1,800 to 3,800 g, with three patients weighing less than 2,600 g. Of the 30 patients, 18 were intubated at birth. The MIS procedures were performed in 18 cases by a thoracoscopic approach and in 12 cases by a laparoscopic approach. No severe complication was observed. For 20 patients, reduction of the intrathoracic contents was achieved easily with 15 thoracoscopies and 5 laparoscopies. In six cases, the reduction was difficult, proving to be impossible for the four remaining patients: one treated with thoracoscopy and three with laparoscopy. The reasons for the inability to reduce the thoracic contents were difficulty of liver mobilization (1 left CDH and 2 right CDH) and the presence of a dilated stomach in the thorax. Reductions were easier for cases of wide diaphragmatic defects using thoracoscopy. There were 10 conversions (5 laparoscopies and 5 thoracoscopies). The reported reasons for conversion were inability to reduce (n = 4), need for a patch (n = 5), lack of adequate vision (n = 4), narrow working space (n = 1), associated bowel malrotation (n = 1), and an anesthetic problem (n = 1). Five defects were too large for direct closure and had to be closed with a patch. Four required conversion, with one performed through video-assisted thoracic surgery. 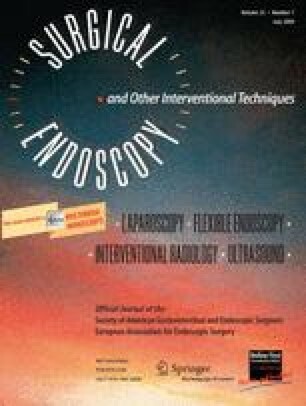 The recurrences were detected after two primer thoracoscopic closures, one of which was managed by successful reoperation using thoracoscopy. In the neonatal period, CDH can be safely closed using MIS procedures. The overall success rate in this study was 67%. The indication for MIS is not related to weeks of gestational age, to weight at birth (if >2,600 g), or to the extent of the immediate neonatal care. Patients with no associated anomaly who are hemodynamically stabilized can benefit from MIS procedures. Reduction of the herniated organs is easier using thoracoscopy. Right CDH, liver lobe herniation, and the need for a patch closure are the most frequent reasons for conversion.